Each Participant will assemble and decorate and take home a 6” Easter Bunny Cake. Each Participant will learn how to assemble the cake from start to finish. 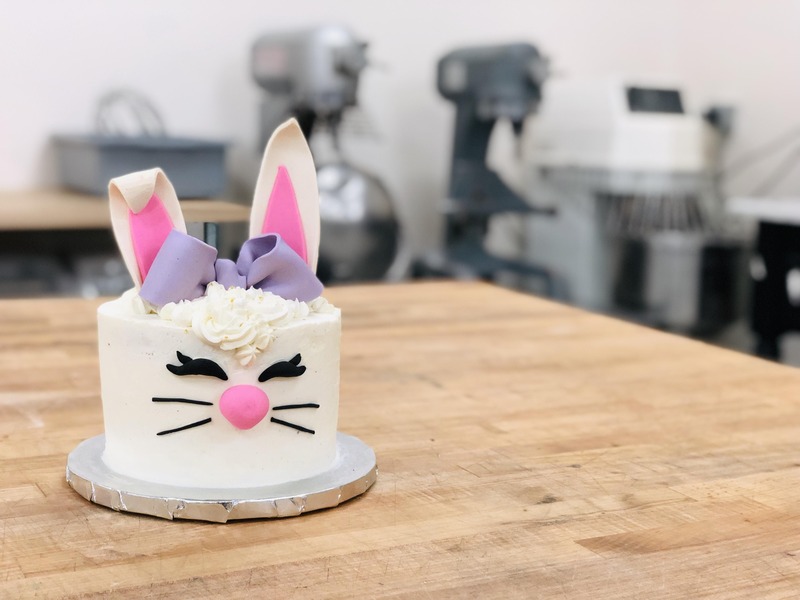 We will frost and stack cakes and learn how to make the ears, bow, eyes, nose and whiskers, and learn how to pipe the Bunnies hair. All tools & materials are provided. This is a hands-on class that will last approximately 2 - 2 1/2 hours. We look forward to meeting you! *Each Registration includes 1 x 6" Easter Bunny Cake. Any children must be at least 8 years old. Children under the age of 16, must be accompanied by an adult. No babes in arms please.